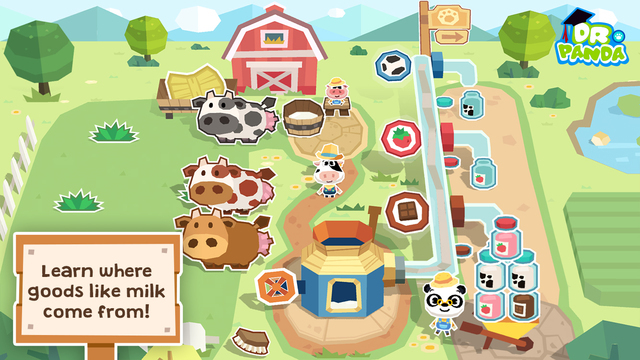 RUN YOUR VERY OWN FARM! Have you ever wanted to run your very own farm? Now you can with Dr. Panda! Escape to the countryside and learn how to become a farmer! Make bread from wheat, feed the chickens, take care of the cows, harvest vegetables, and much more! LEARN WHERE PRODUCTS COME FROM! From farm to table: Learn where local food comes from, what ingredients are needed and how to get them through 6 fun farming activities! GROW AND EXPAND YOUR FARM! After youve made your farm-fresh goods, head over to the Farmers Market and make your customers happy by giving them the produce they want! Happy customers will give you building tools to expand your farm! 6 fun farming activities to do and explore! Learn all about farming and country life! Earn special items and unlock even more ways to play! Plant vegetables, harvest fruit, collect honey from bees and much more! Lots of farmyard secrets to discover and collect! Unique pop-up inspired art style to tell your farm story. Fun and easy to play. Simply touch and tap Perfect for people of all ages! Kid safe with no in-app purchases or third party advertisements. 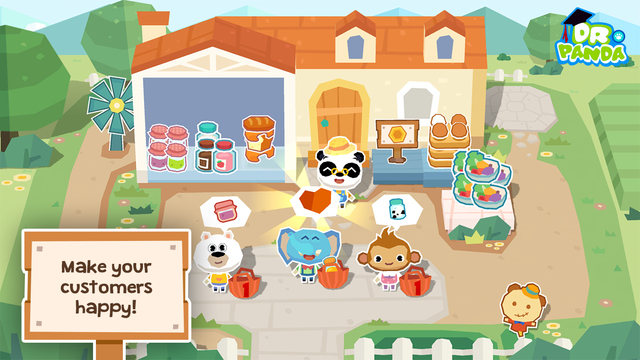 Dr. Panda is a developer of games for kids. We develop games with educational values that help kids learn about the world. All of our games are safe and do not contain inappropriate content, in-app purchases or any third-party advertising. If youd like to know more about us and how we design games for kids, visit our website www.drpanda.com/about. If you have any questions, feel free to send us an email at support@drpanda.com or contact us on Facebook (www.facebook.com/drpandagames) or Twitter (www.twitter.com/drpandagames) or Instagram (www.instagram.com/drpandagames). My family thanks you for making these great games! Now, where is Toto's Treehouse 2! Wow! I am in love with this game even though I am 11 I still love how it is addicting and fun! Great Job!! Good but not worth 3$ I say it's worth 2$ but that's just what I think.